Once you have set up your organization in Lattice, it is time to invite your company! To do this, start by navigating to the "People Section" on the Admin page. A list of created users can be seen here under the "Created" tab. You can invite individual employees or your entire organization at once. Some admins may prefer to give access to individual employees earlier than others. The choice is yours! Can’t find the employee’s email? Click “+InviteMembers” then enter the user's email address. 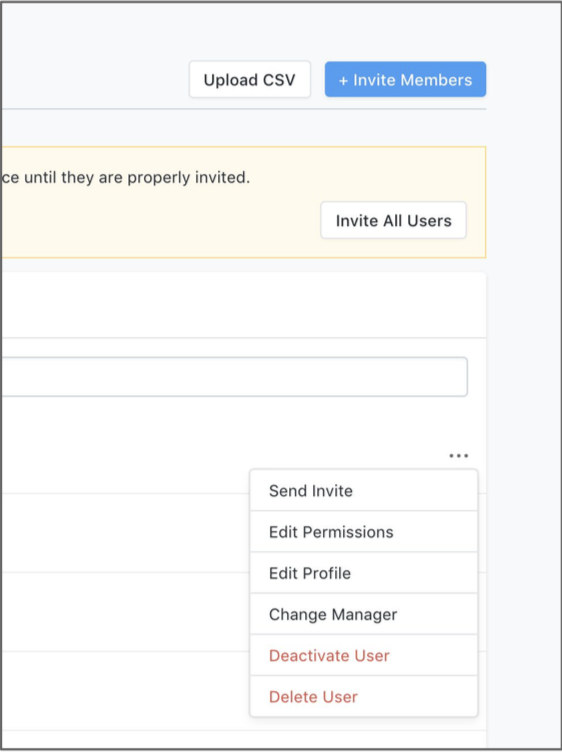 To invite your entire company to all at once, click "Invite All Users" at the top of the page. Please note: After your company has completed your Lattice implementation, created users will automatically be invited to Lattice. You will not need to complete this extra step. If you have any questions about this, please reach out to our customer care team. As an admin, you may want to bulk invite some, but not all of your employees into Lattice. You can upload a list of select employees' email addresses to send invites to you desired group. Click here to do so!